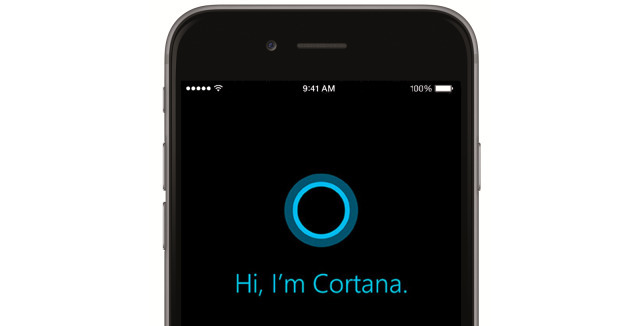 Microsoft is now accepting public beta sign-ups for the iOS version of Cortana, which will bring a limited amount of the Windows assistant's features to iPhones. Testers must be a member of the Windows Insider Program and fill out a short survey, Microsoft announced in an official blog post. The survey's contents hint that Cortana for iOS will be iPhone-only, and require iOS 8 or later. People accepted into the beta should receive emailed download links in the next several weeks. Microsoft is also restricting the test to the U.S. and China. Some Windows features will initially be missing, most notably the "Hey Cortana" voice activation command. iOS blocks third-party voice commands from being used at the lockscreen or homescreen, though they can be triggered in-app. Microsoft is promising "frequent" updates to expand the beta's features, but hasn't said what those might contain, or when the finished app should be released. On Windows, Cortana can handle a range of tasks including checking weather, setting reminders, making calendar appointments, and searching both the Web and local device content. iOS' lack of an open filesystem will prevent local search, but most other functions should be supported, presumably in sync with Windows.